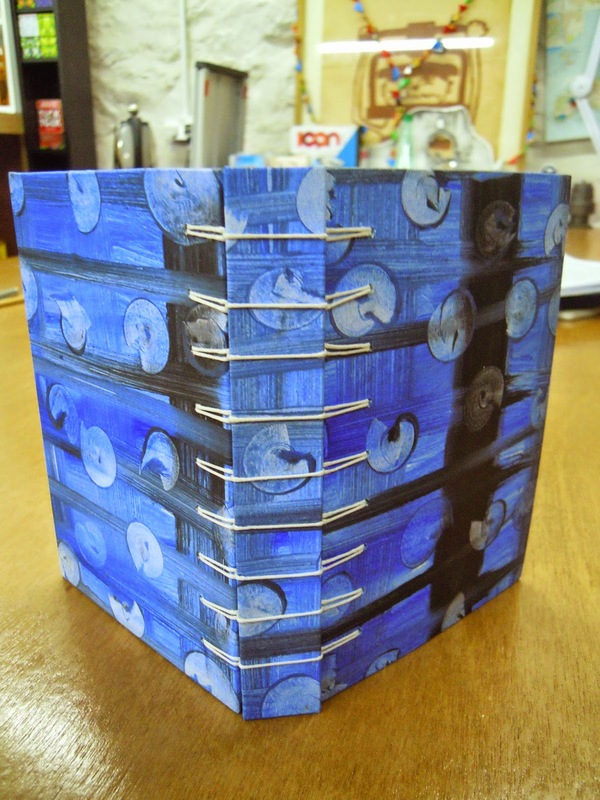 A lovely binding that is a bit fiddly but easy enough to make. Start by making a textblock, and cutting two boards flush with the back of the textblock and slightly larger on the other three sides. 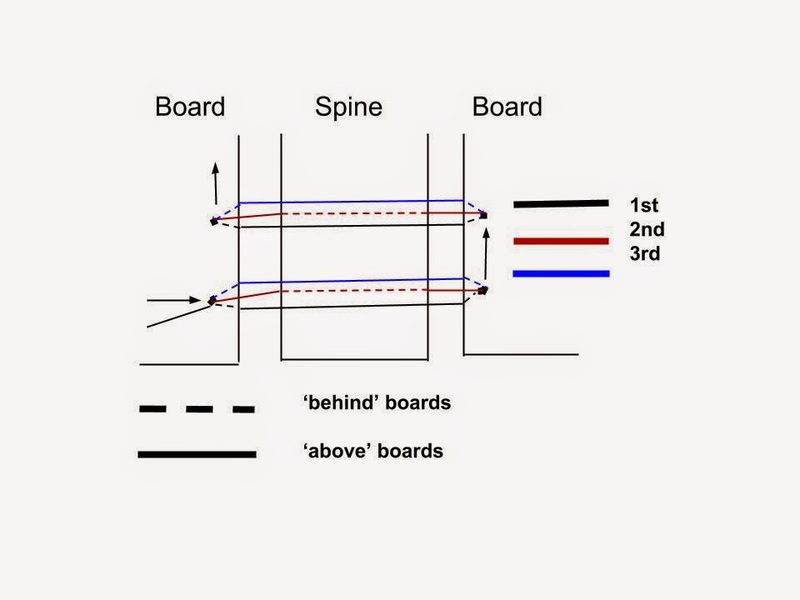 The spine piece should be the same height as the boards, and the width of the the two boards and textblock. Cover these with paper (or what you like) and with pastedowns on the inside boards. Next, with an awl, pierce holes through the boards - an odd number works well. Then using thread, 'sew' the three pieces together using the diagram below. After this the textblock, with pre-pierced holes, can be sewn to the cover. Sew around two threads at a time, and make sure that these pairs are alternated, so that the same two threads are not pulled together each time. It is important to keep the tension here. 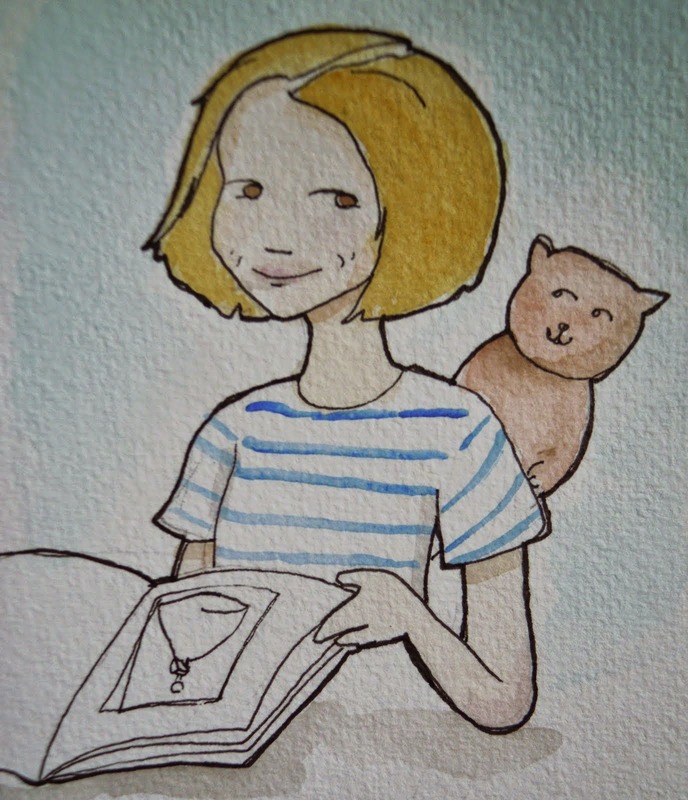 It is a bit of an awkward book to sew, but very charming once done with a nice easy opening. Voilà ! Working as a book and archive conservator in Cologne, Germany.